banqcn home ∷ NEWS ∷ BANQCN Group welcome the winter solstice, send Glutinous Rice Balls, warm heart warmth. BANQCN Group welcome the winter solstice, send Glutinous Rice Balls, warm heart warmth. 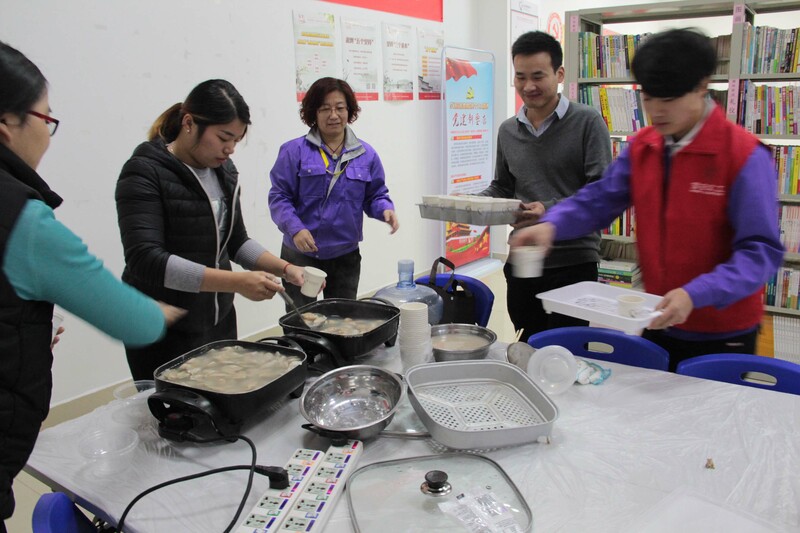 In November 22, 2017, the world light party service center at Sacred Heart science and technology group to carry out "building a warm welcome winter warmth send Glutinous Rice Balls". The traditional festival activities harmonize the relationship between the party members and the masses and create a happy and harmonious holiday atmosphere for everyone. You feel the same warmth as the family. The number of participants is 60. The Sacred Heart Group wish the community a happy holiday.